Experience is a vital aspect to successful consulting endeavors. 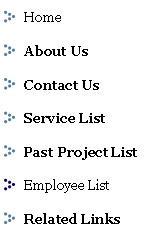 Below is the highlights of the founding member of Prophet IT Services LLC. James is the founding member of Prophet IT Services LLC. He has 15 years experience with Symantec solutions and has spent the last 10 years providing consulting and training. James has STS (Symantec Technical Specialist) certifications in Symantec Endpoint Protection and Symantec Network Access Control. His experience lies in design and architecture of complex security solutions protecting endpoints and peripheral devices. He has designed large scale implementations of antivirus solutions and email environments. James also holds certification as a Symantec Authorized Consultant and specializes in security solutions. In addition, he has experience in Infrastructure management with Ghost and Altiris solutions. Compliance solutions using Symantec Security Incident Manager is also part of his repertoire.